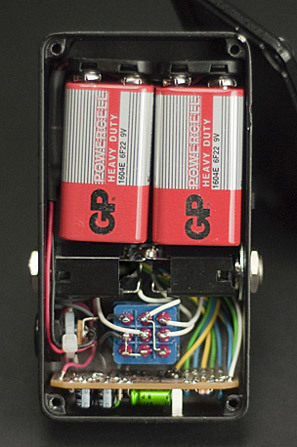 Add a Power Supply: US 120V 18vDC $18 [Add $18.00]- This USA power supply will give 18V to the pedal instead of 9V, see the pedal description for more info on why you might like this. Xotic has renewed and reincarnated the "Tri-logic Bass Preamp 2". It's significantly smaller in size and more affordable. With all the same features of the former Tri-logic, 18-volts & 3-band EQ, the Tri-logic Bass Preamp 2 has evolved with improved sound quality and usability. 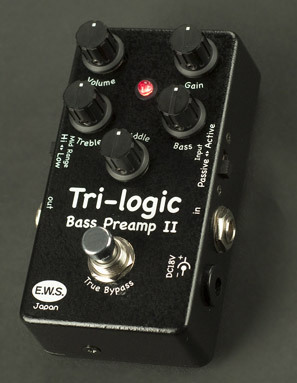 First made popular by Xotic Effects, the Tri-logic is back! Renewed and Reincarnated by EWS, the "Tri-logic Bass Preamp 2" is significantly smaller in size and more affordable. With all the same features of the former Tri-logic, 18-volts & 3-band EQ, the Tri-logic Bass Preamp 2 has evolved with improved sound quality and usability.